Every year governments and/or coorporations requests Google to hand in user data and/or to remove certain information from their services. 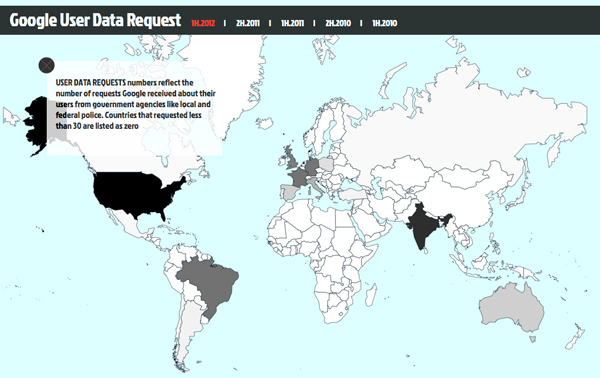 The following web page visualizes the data retrieved from Google’s Transparency Report . Click on the image below to see the data visualization.